Paper clutter is a challenge we all face, but luckily it can be conquered. 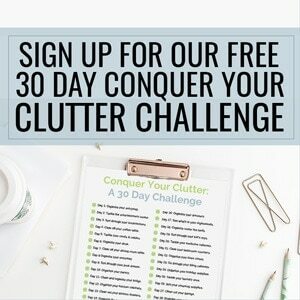 Here are 10 simple ways to reduce paper clutter today! As we continue into this digital age, sometimes it seems like paper is less and less necessary, but somehow we end up with just as much as ever. Paper seems small as a single sheet, but those sheets add up to a stack of clutter like you’ve never seen! 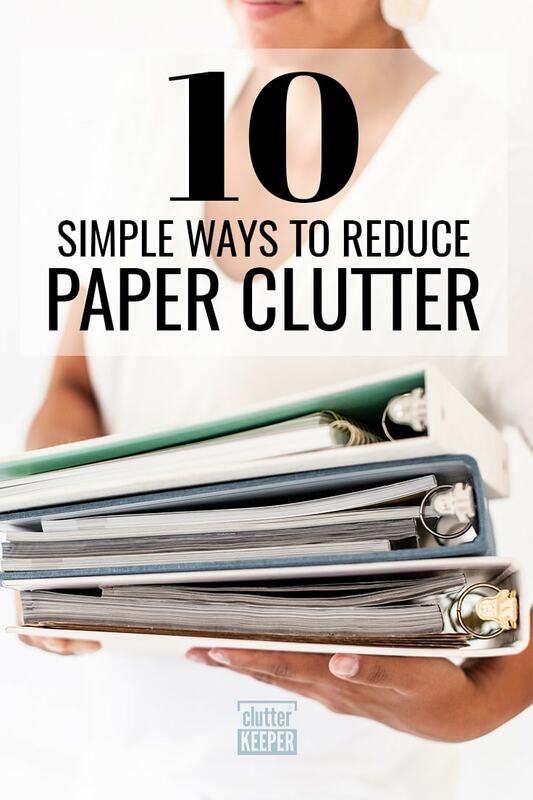 Paper clutter can be challenging, but with these 10 simple tips, you’ll be able to reduce paper clutter now and forever! These 10 steps will give you the tools you need to reduce how much paper you have to sort through. It will give you a huge peace of mind and help you be more efficient with your time too. The first step to controlling your paper clutter is to scan anything you can. This makes storing and sorting your documents quick and easy, and they can always be accessible if you upload them to your cloud storage of choice! Plus, when you digitize your documents, you can tag them and then it’s just a matter of searching the tags to find your receipts, bills and other papers. Don’t you wish you could just type “find my gas receipt” and find it immediately? It really can be that simple. Once you’ve scanned in everything you can, recycle the things you don’t need. Don’t let these items sit around for any longer than they need to! Recycling is good for the environment and is a great way to reduce the amount of paper in your home. You can repurpose unimportant papers into scratch paper notebooks or just send all the paper to the recycling center. Whichever choice you make, just take the loose papers out of your house. Many places allow you to opt for emails instead of paper bills. Check each bill you have for a paperless option, and use it if it is available. This will reduce the amount of paper coming into your home in the first place. Another benefit of going paperless with bills, is you can track the bills online and set digital reminders for due dates to help you organize your bills. Another very common source of paper clutter is junk mail. It’s not as difficult to reduce as you would think. Take the pieces of junk mail you receive and contact the company directly to be taken off their list. Most companies will be happy to take you off their list upon request, saving paper for both you and them! Many of us have a notepad or scrap paper we use for things like grocery lists or reminders. Instead of pen and paper, try using a notes app on your phone. Most phones have one preinstalled, so no more forgetting your lists at home! There are a lot of notes apps that are robust and can be tagged and categorized too. So you can create a grocery list once, then just reuse it for the next week. Tip: Look for a notes app that can used both on your desktop and your smartphone. It might save you time to type up your list on your computer and then use the list on-the-go on your phone. Most paper clutter is a result of simply not having a place for your documents. Get a file folder box or small filing cabinet and take some time to organize your documents. 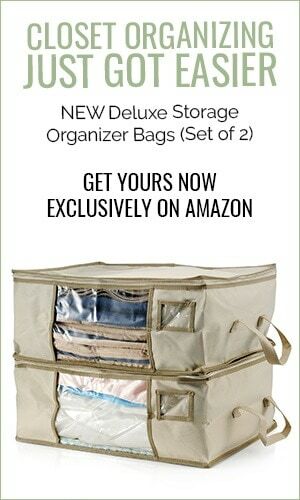 Then, simply store them out of sight! What kind of papers do you keep and for how long? You only need to keep tax papers for 3-5 years maximum. Legal documents you should keep for as long as they are valid. We all love the art our children bring home from school, and it will always have a place on the fridge, but it adds up. Don’t be afraid to scan or take pictures of the art and let it go. If you really want to keep a few of the best artwork from the year, create a file for each year in a plastic tub. Try to only use one tub for each child, for age 0-18 years old. It’s important to have a copy of the manuals to your appliances and electronics should you need them, but most if not all can be found online for free. Get yourself a digital copy and get rid of those papers! Things like tax documents need to be held on to for a certain number of years, so most people have a dedicated space for them. Make sure you go through them every year to remove old ones that are no longer needed, or they’ll just stack up each year. Remember to use a paper shredder to destroy anything that could be used for identity theft. The biggest thing we can do to reduce paper clutter in our homes is to simply not let it inside in the first place. Get receipts emailed to you, toss junk mail before you walk inside, and keep a paper recycle bin by your door for anything that makes it inside. Our lives used to be ruled by paper in the form of junk mail, receipts, or important documents, but in the age of the internet, we can do better. Follow these tips and you’ll be living the good life free of paper clutter in your home. Now that you eliminated your paper clutter, are you ready to organize the rest of your home office or move on to other areas of your home? Here are some helpful articles that will give you the tools you need. 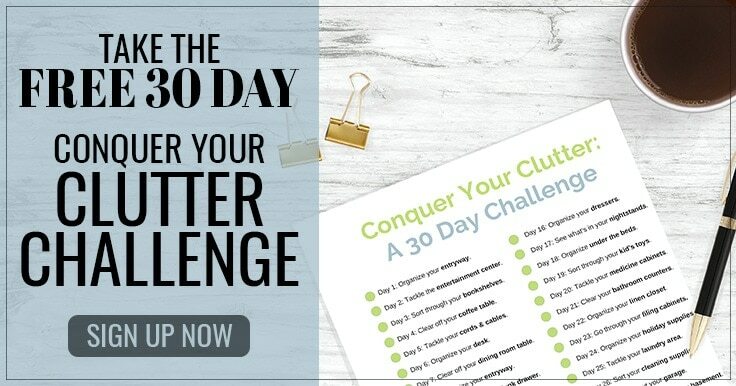 30 Day Conquer Your Clutter Challenge – Are you up for it? This challenge will walk you through every obstacle you face. Living Room Organization – This is a complete guide to organizing your living room. Kitchen Pantry Organization – Just 6 little steps and you’ll have a supremely organized pantry.